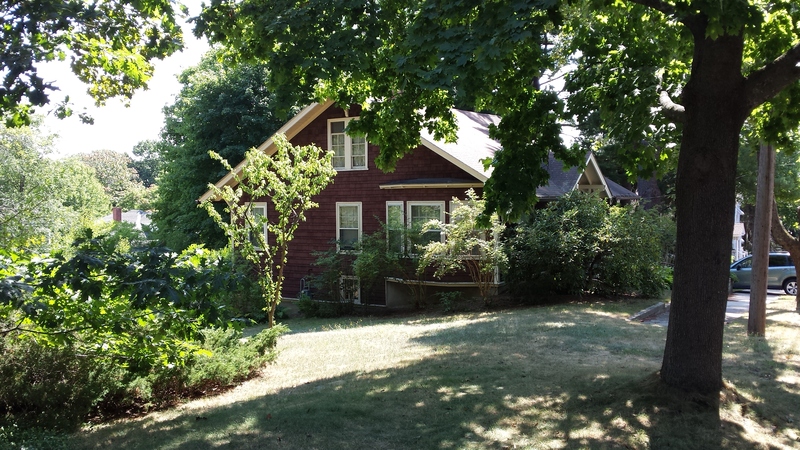 A Craftsman bungalow on a large lot. Built around 1917 for Raymond S Oakes. Oakes was a prominent attorney and legislator. The home sits on a large sylvan lot which adds greatly to its character. The treatment of the wall shingles is interesting. It helps to emphasize the horizontality of the design. I am pretty sure I have seen this feature on other buildings in the area but I cannot say exactly where. Raymond Oakes, right, and Clyde Smith in 1927. Smith was a state legislator who’s wife was Margaret Chase Smith. 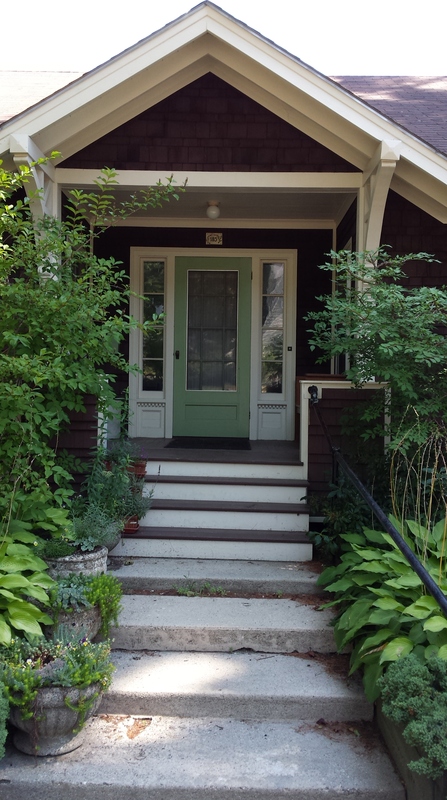 This entry was posted in Architecture, Arts and Crafts, Edwards Street, Glimpses, History, Longfellow Highlands, Off the peninsula and tagged Architecture, Arts and Crafts, Bungalow, History, images, Maine, Portland on September 10, 2016 by alewifecove. The large sylvan lot next door is actually the Bailey Hill Cemetery where Deacon John Bailey of 1235 Congress St may still be buried. There are only two flattened headstones remaining.